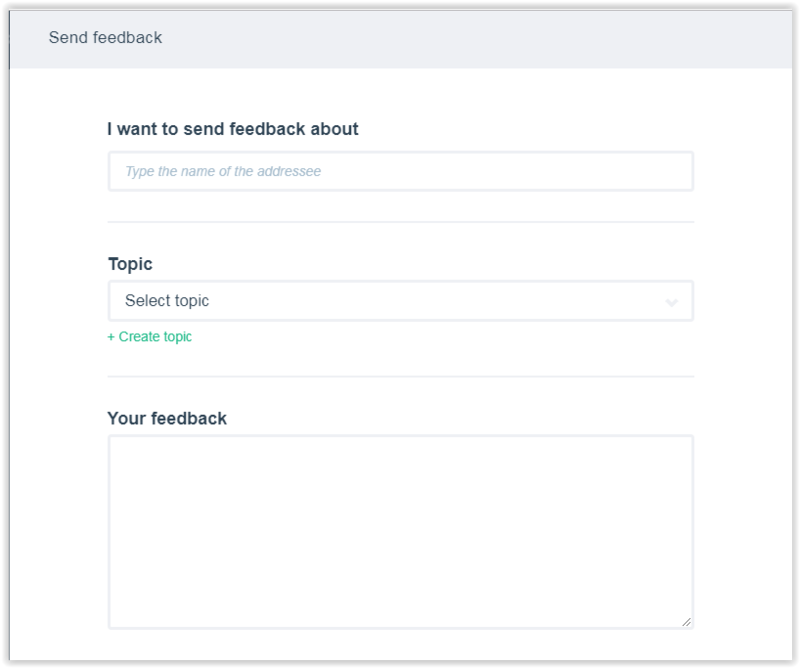 When sending feedback, first type the name of the addressee who you want to send feedback about. Select a Topic from the drop-down menu or create a new one by clicking the Create topic button. In the Your feedback section write down your feedback. Direct: both the person receiving the feedback and their manager will see this feedback. Private: only the direct manager (and their managers) of the addressee will see this feedback. Chose one of the options from the Visibility drop-down menu and then hit Send feedback. The given feedback can be found under the All Feedback menu on the left sidebar.